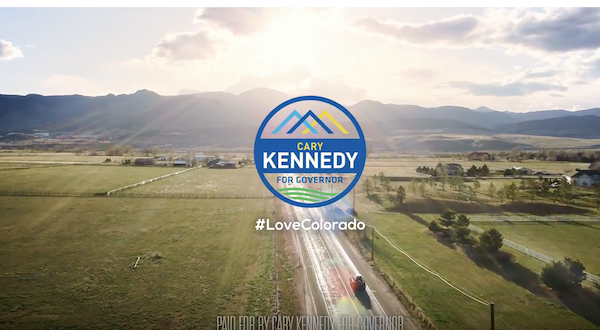 About the message: In her first TV ad, Democratic gubernatorial candidate Cary Kennedy packs her family in the car to head to the mountains and get away from GOP President Donald Trump and Twitter. "We have to protect our state from Trump, but we don't have to listen to him all the time," Kennedy says. KDVR analyzed the ad, and determined that Kennedy's claim about creating a program to invest in public school instruction is "not exactly" on the mark because the legislature had to approve a bill to enact the program. Kennedy is one of four Democrats facing off in the June 26 primary for the gubernatorial nomination. About the messenger: Cary Kennedy is the former state treasurer and former deputy mayor and chief financial officer for the city of Denver. She finished second in the four-way Democratic primary. The messenger's money: Kennedy raised nearly $2 million from a variety of donors. She's also supported by the independent spending committee Teachers for Kennedy.